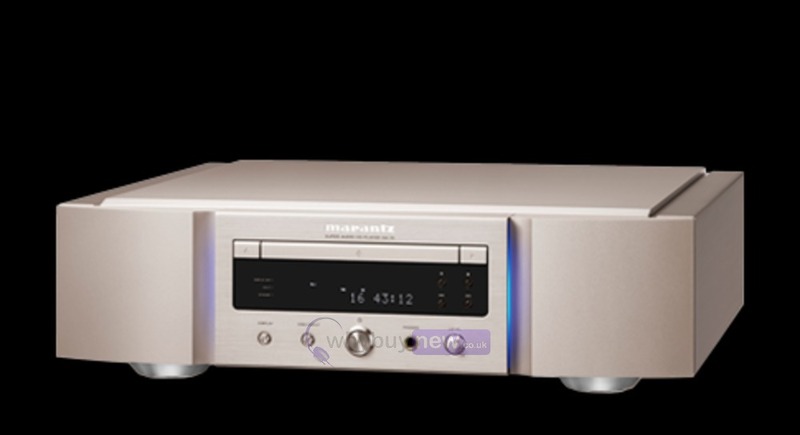 This award winning and superb Marantz SA-10 Reference CD Player has come to us via a part exchange and comes with a 1 year warranty. From the unique new disc transport designed for this player all the way through to a complete rethink of the way digital audio data is converted into analogue signals, the SA-10 is a clean sheet design, the result of painstaking research and development and extensive listening in Marantzs custom-built listening facilities. Thats symptomatic of the way Marantz has always done things: while it always aims for the most elegant engineering solution, the listening test is always the final arbiter. Its all to do with that simple phrase running through the heart of everything the company does: Because Music Matters. Many modern CD and SACD players use computer-style DVD or universal disc drives, simply because its increasingly difficult for manufacturers to source dedicated music drives, purely designed for SACD/CD playback. The Marantz solution? If you cant buy it off the shelf, design it and have it made: at the heart of the SA-10 is an all-new SACD-M3 transport mechanism, engineered solely for the best possible performance when playing SA-CDs, CDs and music stored on data discs. Not only does this new mechanism promise the very best sound quality from conventional CD and SA-CD discs, its extended ability with the playback of music files stored on DVD-ROM discs makes it possible for users to create their own high-resolution audio compilation discs using a computer DVD burner. The SA-10 can play FLAC files from 32kHz to 192kHz at up to 24-bit resolution, and DSD64 and DSD128, well as ALAC (Apple Lossless), AIFF and MP3 files. That means making and playing hi-res disc compilations is now just as simple as its always been to make such discs in CD quality. 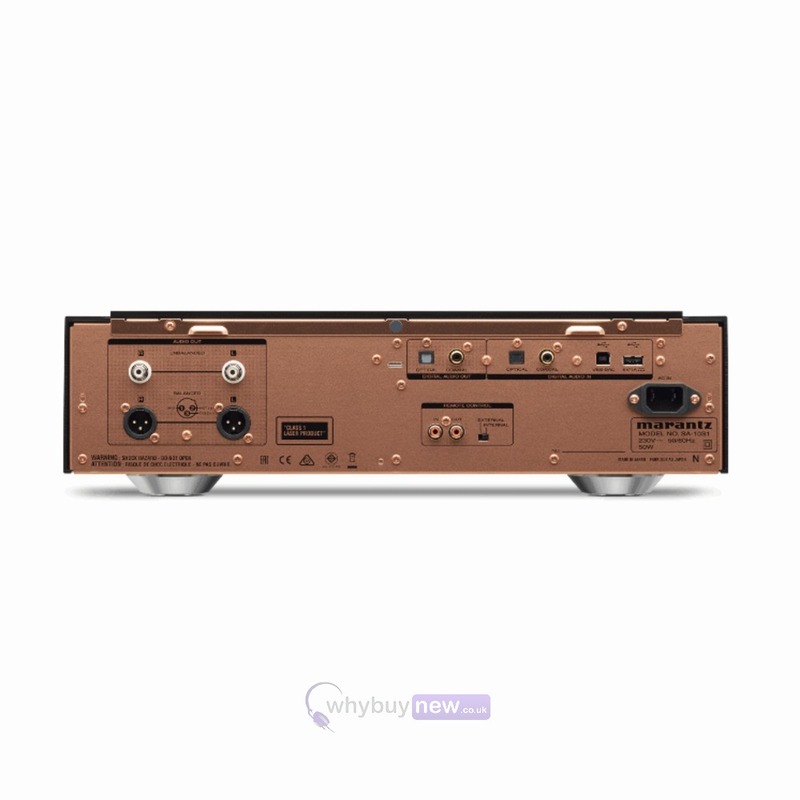 However, the SA-10 goes so much further than just disc playback: its also a fully-functional digital-to-analogue converter for music stored on a home computer, as well as having conventional digital inputs for existing source components. Those conventional inputs optical and coaxial can handle files at up to 192kHz/24bit, but in addition the players digital input section includes a USB-B asynchronous input for the direct connection of a computer, and this is compatible with PCM and DXD music files at up to 384kHz/32bit, as well as DSD64, DSD128 and DSD256. That means the SA-10 is not only equipped to handle all the commonly-available high-resolution audio formats now sold by online retailers, but also the ultra-high-resolution files becoming available from a number of specialist labels and outlets. In other words, the new player is entirely futureproof. Whats more, the digital input section is completely isolated, to avoid any electrical noise from connected components a particular problem when computers are used as a source from finding its way into the signal-path. 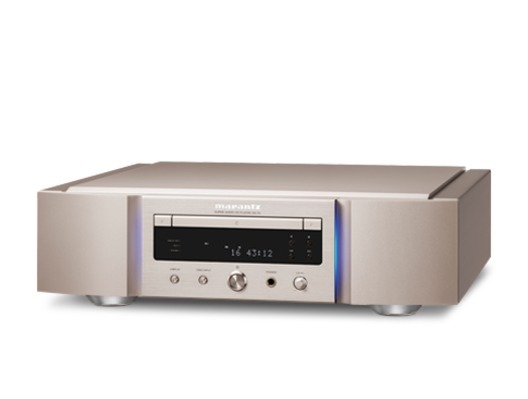 However, the SA-10 takes things further just as it features an all-new disc transport mechanism, so the digital to analogue conversion has also been subject to a radical rethink, taking full advantage of the 1-bit conversion technology found in past flagship Marantz players, and incorporating brand-new filtering and upconversion to take advantage of this simple, but elegant solution.